You haven't tasted strawberry kiwi vape like this. 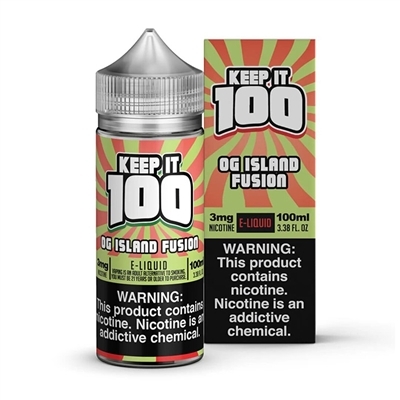 Keep it 100 hit it out of the park with this refreshing fruit blend of tangy kiwi and sweet ripe strawberry.e juice. Definitely an all day vape! I cannot say enough good things about your operation. Usually i do not do surveys but I enjoy dealing with this company and fee entitiled to write one. Excellent service, product line up, best pricing around, and fast shipping. All of my e liquid purchases will come from you guys in the future. I would absolutey love for you guys to stock in british vapor co flavor Ã¢â‚¬Å“jbÃ¢â‚¬Â. They are an award winning premium juice line. Please check into them! This one was for my husband & he loves it.